Sleep apnea is mainly associated with feeling of tiredness and snoring during sleeping and it is a serious medical condition. Someone who has sleep apnea will either completely stop breathing (apnea) whilst they are asleep or have their breathing severely restricted (hypopnea). When this happens, your cells are starved from vital oxygen and there is an increase in carbon dioxide (waste product of breathing) in the blood. The lack of vital oxygen in the cells and body sends signals to the brain to wake up and re-start the breathing cycle. In some people this may happen over 30 times every hour which puts enormous strain on your body. Sleep apnea can severely impact your health and the quality of life, and can also be associated with other medical conditions such as obesity, heart disease and diabetes. It is important to take sleep apnea seriously. 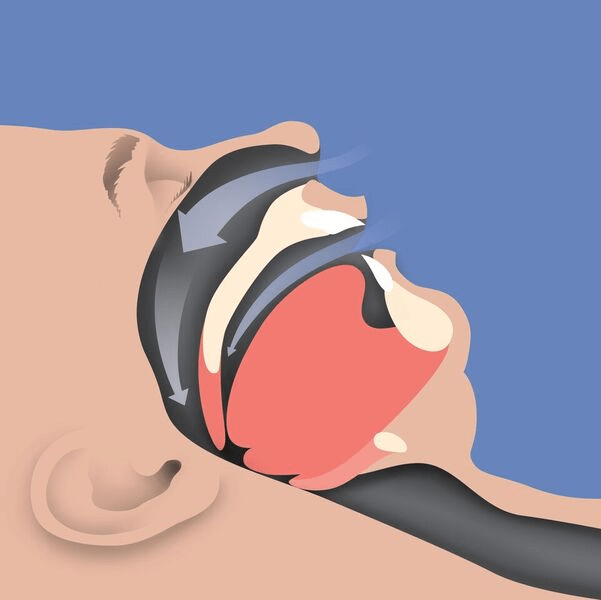 The most common symptoms of sleep apnea are snoring, gasping and choking sounds whilst asleep. This is usually observed by a partner. Please note that not all symptoms mentioned above may relate to sleep apnea. Please make sure you discuss any concerns with us to ensure that an accurate diagnosis is made. 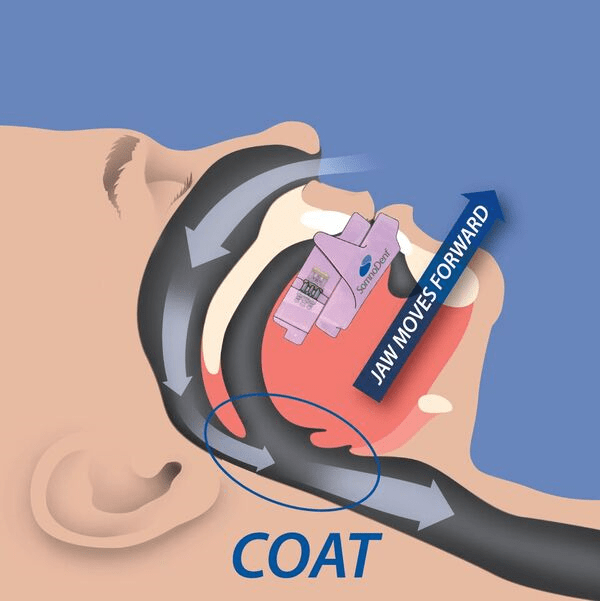 In some cases, the airway is actually open but air stops flowing to the lungs because no effort is made to breathe.This is because the communication between the brain and the body has been affected so the automatic action of breathing stops. This results in lower than normal oxygen levels and build up of carbon dioxide. These conditions of hypoxia and hypercapnia will trigger addidtional effects on the body eg. Brain damge and even death in severe cases. People with CSA don’t often snore, so the condition sometimes goes unnoticed. The good news is there is a treatment for it, and most people experience a whole range of benefits from being treated. Being proactive and treating your sleep apnea may help lower associated risks and improve your overall health. Treatment has been shown to improve daytime sleepiness, depressed mood, reduced memory and concentration and reduce quality of life. Treatment of OSC is different than that of central sleep apnea. For moderate to severe sleep apnea, most common treatment is the use of CPAP (continuous positive airway pressure). Although CPAP therapy has been shown to be effective in reducing apneas some people find it uncomfortable. Some complain of feeling trapped, having chest discomfort and skin or nose irritation. At friendly smiles dental, we are happy to give you a alternative treatment to treat snoring and obstructive sleep apnea. A Large number of men and women have discovered the efficacy of SomnoDent to be perfect for ending their snoring problems. Somnodent sleep apnea oral appliance is ideal for treatment for patients who have been diagnosed with mild to moderate obstructive sleep apnea and for severe OSA who are unable or unwilling to tolerate CPAP therapy/surgery.